For a show with no shortage of blood-chilling villains, Game of Thrones really outdid itself with its otherworldly portrayal of the Night King, the spike-headed leader of the inhumane White Walkers who resurrected hundreds of slain Wildlings in what is now widely considered one of the hit HBO series's most climactic scenes. 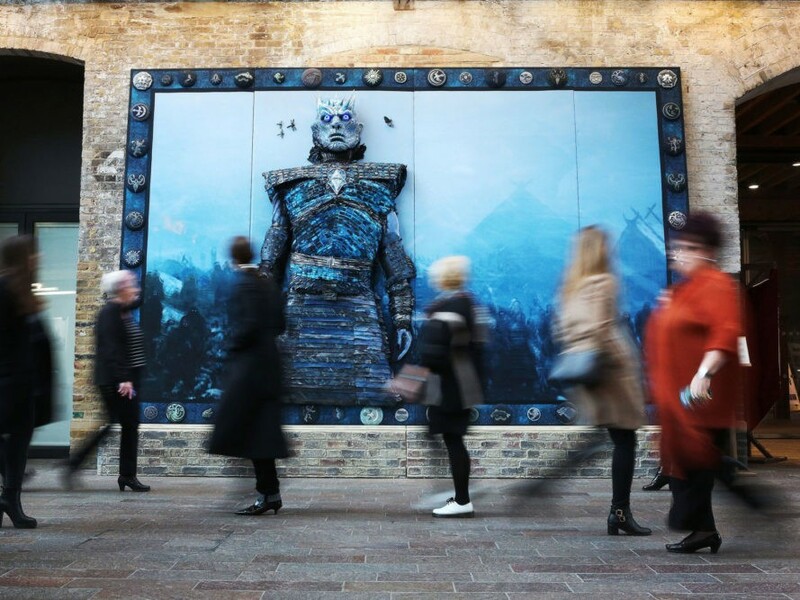 To toast the release of the show's fifth season on Blu-ray and DVD in the United Kingdom, HBO commissioned England's Embroiderer's Guild to recreate the massacre of Hardhome. The result? A three-dimensional tour de force, nearly 20 feet across, that took 160 of Britain's leading textile artisans, including members of the Royal School of Needlework, Hand & Lock, and Fine Cell Work, more than 30,000 hours to complete. Framing the Night King in all his frosty, blue-eyed glory are the crests of the great houses of Westeros: a stark reminder—pun intended—that winter is indeed coming for the Seven Kingdoms. London artist Michele Carragher, who works in Game of Thrones’s costume department, contributed a quartet of jeweled insects. Custom-made fabrics were employed to add depth, texture, and “gravitas,” according to the Royal School of Needlework, which helped stitch together the Duchess of Cambridge’s wedding gown in 2011. Will the artwork eventually make its way Stateside? Like Jon Snow, we know nothing. London artist Michele Carragher, who works in Game of Thrones's costume department, contributed a quartet of jeweled insects. 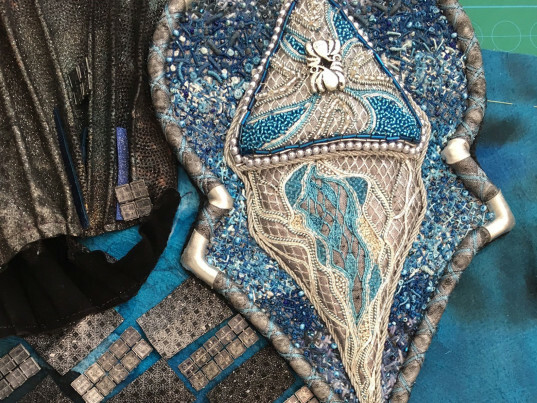 Godfrey noted the diversity of skills involved in the making of the piece, including "digital print, surface stitchery, machine embroidery, metal thread work beading, appliqué, and quilting." Custom-made fabrics were employed to add depth, texture, and "gravitas," according to the Royal School of Needlework, which helped stitch together the Duchess of Cambridge's wedding gown in 2011.